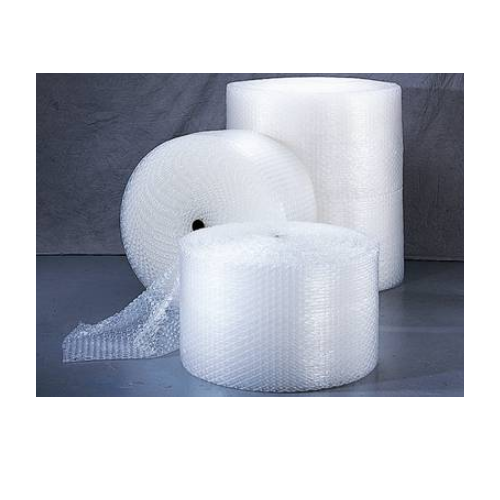 Packaging bubble sheet is a definitive solution for the rigid packing system. It is a product that has the strength, rigid shape, definitive structure and occupies least space whilst giving maximum protection. Bubble Sheet also referred to as Mettwrap/Metal Wrap or Rigid bubble sheet is made from Polypropylene and has three layers. The outer and the inner layer is sheet of PP which holds the solid rigid hollow bubble that provides strength and shape to the sheet. It is used in a number of applications including packaging of steel coils, packaging separators, false ceiling, wall panels, door panels, wood protectors, floor protectors, wall facing boards, printing and other applications. Rust-X Hi Tech International located at Mumbai came into being in the year 1983 and proved its competency as the known manufacturer, supplier and exporter of Specialized Polymer Films, Metal Working Fluids, VCl Papers, VCI Products, Industrial Lubricants and Steel Mills. Our product range comprises Protect Guard Sheet, VCI Crepe Paper Rust-X VCL 605,606,607, VCI HDPE Laminated Paper, VCI Metbarr - Metal Barrier Bag, VCI Polyester Packaging, VCI Plastic, Textile Lubricant, Grease, Wood Guard, Rust Preventive Oil, Aqua Flush, Solvent Based and Cutting Oil. Our products are known for various quality features such as prevent the growth of bacteria, protects the parts from corrosion and rust, long tool life, excellent scuff resistance, provide elasticity and gloss, high strength, require less maintenance, trouble-free and smooth and operation, minimize operator dependence, 100% eco-friendly, excellent lubrication and many more.